Secure First Twin expandable shock absorbing lanyard the ideal solution to help the wearer reduce trip hazards. 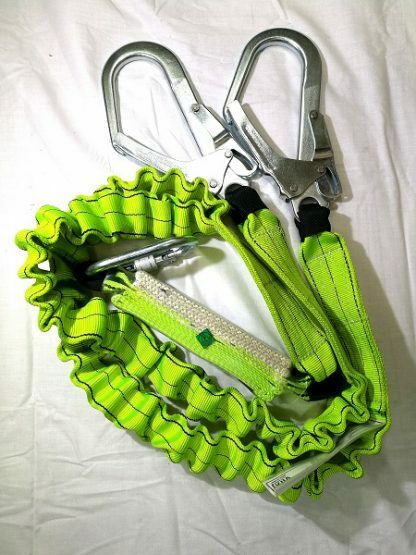 Having the twin lanyard reduces the number of connectors and weight. supplied with a alloy scaffold hooks at one end and a karabiner at the other.